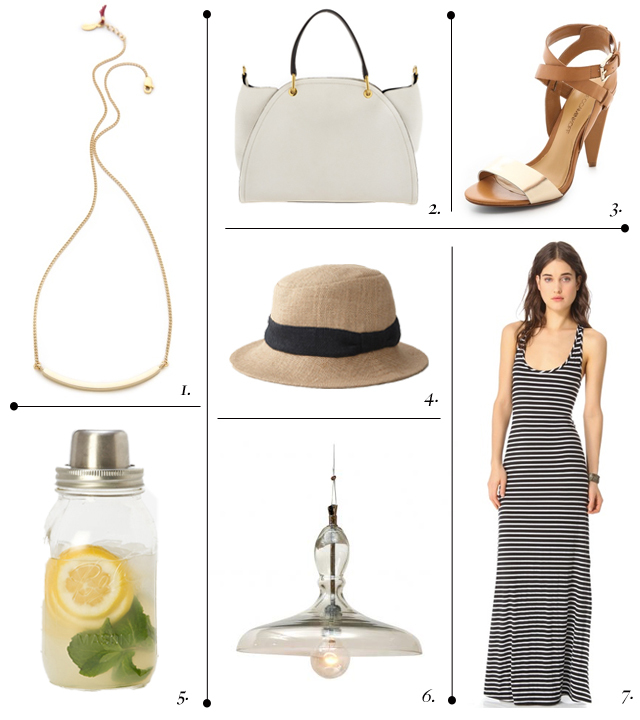 Just wishing I could add all of these summery-looking things to my shopping cart! Those heels are FAB!! Well, everything on this list is! You have impeccable taste! All these things are too good. Want those heels, love the dress and could really use a cute cocktail shaker! Great finds! Love that mason jar mixer!! Ahhhhhh yes, yes, yes, yes, yes, yes and yes!!!!! Lovely lovely list, I'll take them all! ummmm....i'll take all of these things thankyouverymuch. gorgeous roundup!